Comments: In warmer climates the leaves remain green over winter, but the plant goes dormant during the late summer everywhere. A wonderful perennial in the woodland garden and other naturalistic sites where humus has accumulated over a long period. 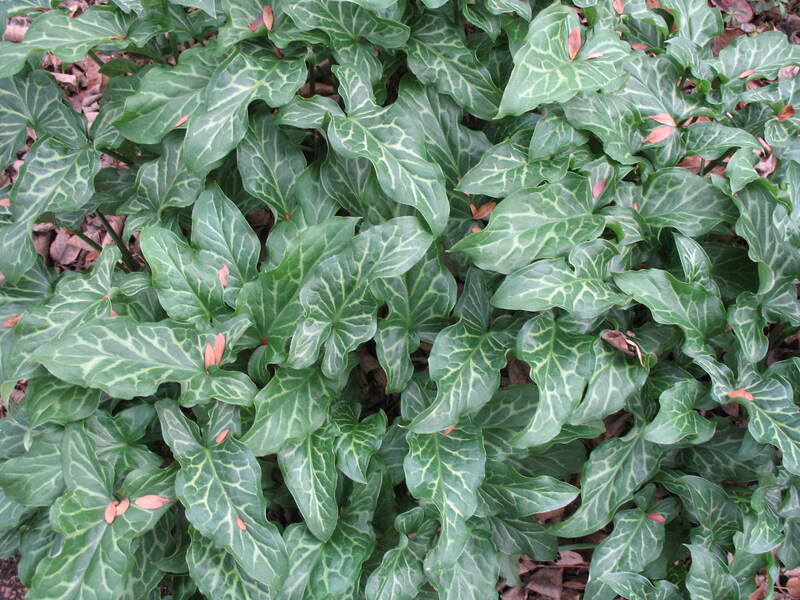 Over time, clumps will spread and form relatively large colonies of plants with handsome variegated arrow-shaped foliage.